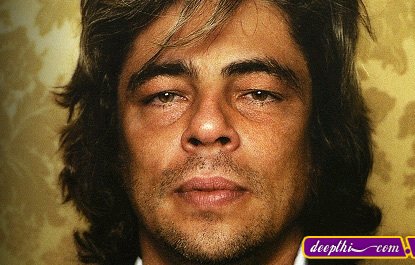 Known for his dark intensity and idiosyncratic performances, Benicio Del Toro became one of Hollywood's more unique actors. His looks suggesting a hidden background as Wednesday Addams' hunky older brother, he first became known to film audiences in 1995 with his breakthrough performance in The Usual Suspects. Born in Santurce, Puerto Rico, in 1967, Del Toro was the son of lawyers. His mother died when he was nine, and, four years later, his father moved the family to Mercersberg, PA, where they lived on a farm. While attending the University of California at San Diego, where he was working toward a business degree, Del Toro took an acting class and was soon hooked. He appeared in a number of student productions, one of which led to a stint performing at a drama festival at New York's Lafayette Theatre. Del Toro decided to remain in New York to study acting at the Circle in the Square Acting School and won a scholarship to the Stella Adler Conservatory.